Giving dog couture a bad name | Will My Dog Hate Me? I’m all for letting people spend their money on what they like. And if Thai designer Riwin Jirapolsek had created a $4.2 million tiara for his wife, rather than his Maltese, this wouldn’t be a story. Many humans like pricey baubles as status symbols. 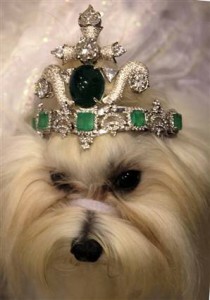 But dogs can’t distinguish real emeralds and diamonds — the tiara bears 143 karats of the former, 100 karats of the latter — from the fakes. This pup would doubtless prefer a tasty snack to having a bunch of bling on his head. 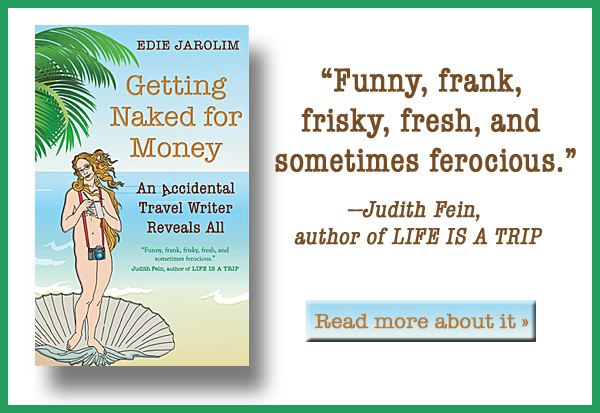 I’m not of the “but think of all the starving children in Thailand or [fill in the country]” persuasion. When it comes to love, dogs are as worthy as humans to receive it, arguably worthier. Still, I can’t help but think that, since this pooch can’t properly appreciate the gift, it would be better if the money were devoted to rescue or some other cause that would improve the life of dogs.